Restaurant and bar fires harm customers and employees, rack up enormous costs in damages, and kill the owner's reputation. Is your establishment protected? 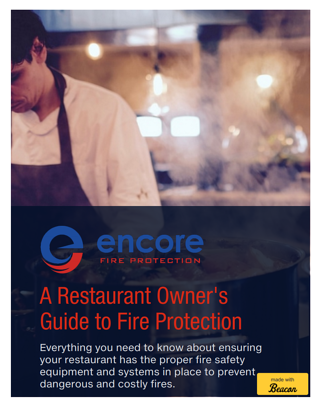 Download the free eBook to learn everything you need to know about protecting your restaurant from fires in one place.